If you're new to rotary machines then this is the pack for you! 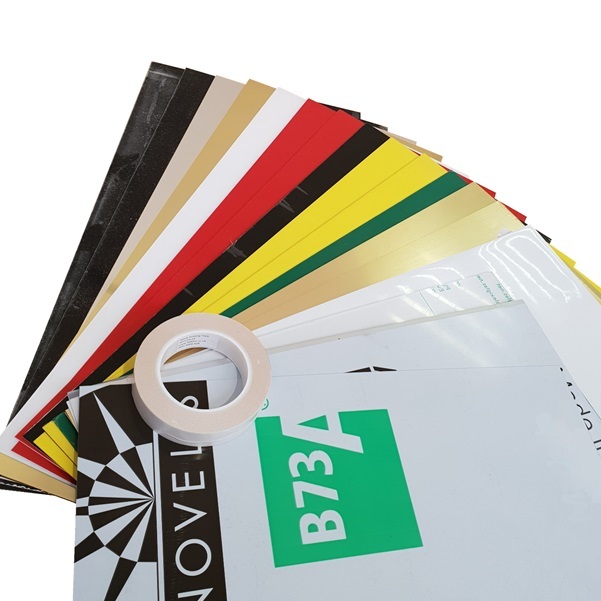 Assorted Cast Acrylics in 3mm, Laminate in thickness' of 0.2mm, 1.5mm and 3mm, Trophy Aluminium, Satin Anodised Aluminium and a PVC Work Holding Tape measuring 25mm x 33m. All products will be labelled. A copy of our catalogue and price list will also be included. Each Pack will contain sheets measuring approx. 610mm x 305mm (2' x 1'). Please note contents may vary depending upon availability.